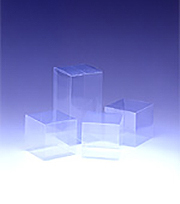 Gurandaqua is a highly transparent sheet of Sheedom PP that is superior in transparency and surface glossiness to Aqua. It has such a high printability that direct printing on the sheet is available. This product is optimum for packages as it is a pollution-free material. Copyright (C) 2017 Sheedom Co., Ltd. All Rights Reserved.